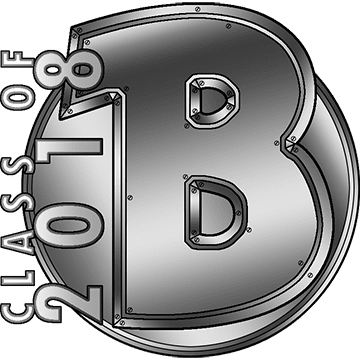 Click here to go back to Chapter 4. 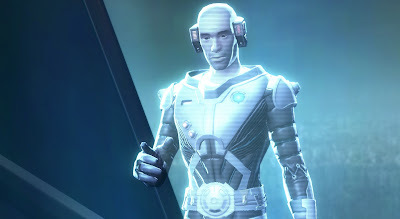 After the revelation that Aries is the one in control of Iokath, he personally confirms via holocall that he was indeed testing whether any of you were "worthy" of inheriting the planet (though he never explains what exactly that would have entailed) but since nobody passed his test, he doesn't need you anymore and just sends more droids to eliminate you. We see him trying to blow up Scorpio as well, but she, too, manages to evade him. Soon afterwards, Scorpio contacts you again via a secure channel to let you know that Vaylin has escaped as well. We see the latter reunite with what's left of her forces and pushing a Gemini droid to its death for expressing anxiety about the situation. Scorpio suggests that Vaylin's antics may be sufficient distraction for Aries to enable you to defeat him. Your conversation is rudely interrupted when a colossal war droid next to you suddenly comes to life and needs taking out. As soon as it goes down, the rest of your crew finds you. You tell them of what you've learned, and Theron suggests a new escape route via his shuttle, which was parked in the Gravestone's hangar... he just hadn't thought of trying to contact it before. You're still penned in by the droid swarm, but now you've also got a giant war droid, only lightly damaged. You patch it up to use it against the swarm and your character looks ridiculously pleased about getting to pilot it while the rest of your crew make their way to the shuttle. Another vehicle section follows, this one - in my opinion anyway - the most fun example of these in KotET. You get to stomp on enemy droids en masse, and since you have an ability on a short cooldown that temporarily makes you immune to damage while healing you to full, the fight is trivially easy... but hey, if you're going to sell the feeling of being a giant, nigh invincible war machine that stomps things, you might as well go all the way, you know? 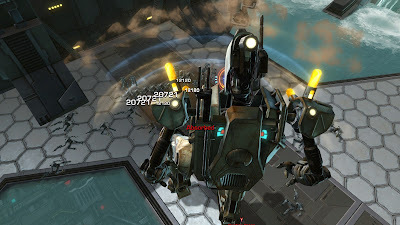 The droid explodes shortly after you eject from it, and you and your team manage to make a break for it with Theron's shuttle. However, Scorpio warns you off that the planet is still surrounded by a deadly energy shield that prevents you from escaping. Aries adds some urgency to the situation by telling you that he's re-energising the weapon that he used to knock you out at the start of chapter four... but this time it will be set to kill instead of stun. He clearly enjoys telling you all this way too much though, as his speech goes on for long enough that it gives Scorpio time to locate him and the energy shield controls, so she can send you the coordinates. You and Vette get dropped off at Aries' location while Theron flies off to hunt down the Gravestone, arguing that the shuttle is too vulnerable to hang around. He could have left you more than one crew member to face down the big bad though... While you fight your way into Aries' base, Vaylin and her soldiers have found the Eternal Fleet and are reclaiming it. However, they are just as penned in by the planetary shield as you are. A random droid that tries to shoot Vaylin triggers her wrath and sends her into a childish hissy fit during which she uses the Force to smash its dismembered torso left and right. Even her underlings are quietly shaking their heads about that display. You and Vette eventually find Aries, whose real form is that of a blocky, pretty damn ugly droid. Things heat up as Vaylin starts bombing your position (she doesn't want to be blown up by Aries either) and Aries tells his superweapon to fire as soon as it's finished charging. But in typically heroic fashion, you defeat him and manage to prevent it from firing just in time. When the defeated Aries gets up again to take one last stab at you, Scorpio shows up and finishes him off. She also deactivates the planetary shield for you and tells you about her intent to upload herself to Iokath and merge with it. You can let her proceed or destroy her before she has a chance to go through with her plan, but either way you urgently need to get away afterwards, because the charged weapon is going to overload and explode after all, threatening to cover the entire area in radiation. Vaylin's closest Gemini captain relates this turn of events to her Empress and advises that they must flee too, but Vaylin won't hear of it and orders her broken droid toy to go through with resetting the Gemini to make it obey her. You make it to the Gravestone and jump to hyperspace just in time to avoid the explosion. 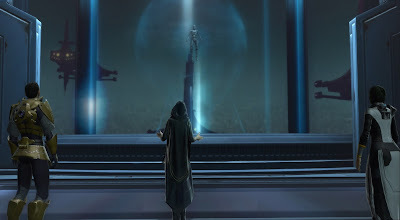 Then we cut to Vaylin and see that she is suddenly in hyperspace too, and only a number of vessels she had sent to pursue the Gravestone got destroyed by the explosion. Whatever happened to "We must stay and kill my enemies"? That part always confuses me a bit. You return to Odessen, and in the unlikely event that you allowed traitorous Koth to survive, he takes off at this point (without stealing anything). 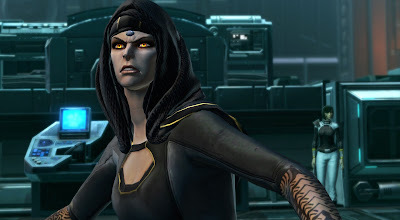 Lana reports that Iokath will remain too dangerously irradiated to go back and do any exploring for a while, but if you let Scorpio live, she sent you some helpful info to help with upgrading the Gravestone. If Senya is still alive, you're told that she's still comatose. If you killed her, your spies report that Arcann has required extensive cybernetic upgrades while underground. You also share the secret of Vaylin's conditioning with Lana. Valkorion's ghost warns you to not get too complacent just because things are going well. And Vaylin makes her droid toy reset all the remaining Gemini before finally crushing it for good. Ascension always strikes me as a bit of a low point of KotET, though that might change with more replays - who knows. It's not terrible or anything, but it always makes me feel like I want to move on and just get to chapter six already. Aries isn't given enough time to develop into a villain we really care about beyond not wanting to be blown up by him. Fun fact: During my first ever playthrough, when Vette starts the chapter with the line "Aries controls Iokath? ", I was initially confused because I hadn't even caught on to who Aries was (he mumbles a bit during his introduction and I don't have subtitles on). Also, while stories like these always require some suspension of disbelief, I felt that there's just too much going on in this chapter that just doesn't make sense. There's that random droid conveniently revealing everything to Vaylin, having way more power and knowledge than you'd expect any random mook to have, and helping her reprogram the entire fleet... for no benefit to him. Or what about Vaylin raging about not wanting to leave before her enemies are dead but then conveniently being in hyperspace already while the Outlander and her crew - who've been trying to escape the whole time - barely make it? Finally, I always feel terrible for the Gemini droids in this chapter. While Scorpio granting them independence did not work out well for the Alliance, there was still something noble about it in a way. Seeing Vaylin erase all their progress on a whim to make them into mindless slaves again, so they won't shy away from blowing each other up for no reason if she commands it, is pretty damn horrible if you think about it. Yet it isn't really addressed again after this. Still, I do really like the part you spend stomping around in that giant war droid. I'm not sure it's "in character" for all my Outlanders to look so smug when they take the pilot's seat, but I as the one behind the keyboard definitely enjoyed it. Just a note to say I enjoy these write-ups even though I have to skip over most of it not yet having done the game content! This one is as far as I've got at the moment. I've been enjoying KOTET so far, but this Iokath detour did feel as though we had accidentally barged into a different story. I was like, oh, did I come through the wrong door? 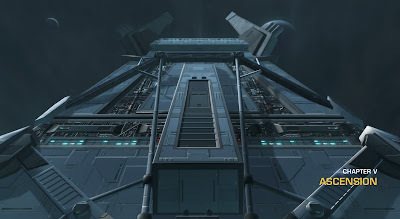 I like the idea of Iokath, but once out of the ruined part (cool, but a bit familiar, look up and you could be on Taris) I found the place a bit dull. Being the giant smashy robot was tons of fun, though. I also like how the boss fights these days feel more like little solo ops-style encounters, quite different from the ones in the vanilla story. I can tell you without spoilers that the chapter after this one was probably my favourite though! YMMV, depending on whether you like puzzles... I usually do. I have done that chapter now, and it was a lot of fun. 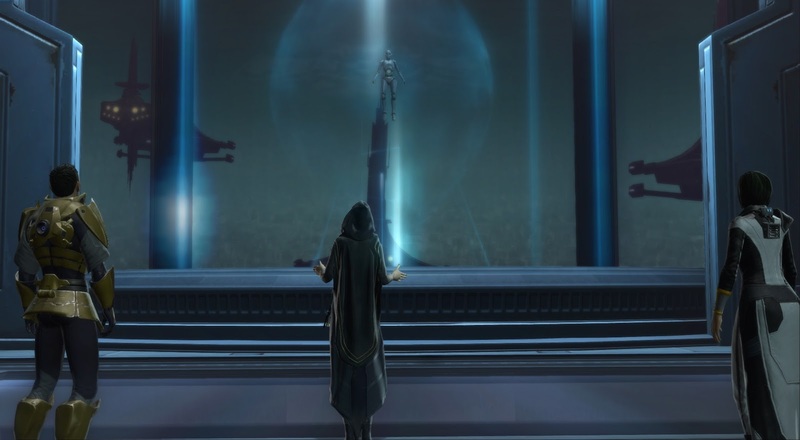 Something very different for SWTOR, I like how they are trying new things a lot with these chapters. I became a little frustrated for a bit while trying to do the bonus mission. All because I failed to notice a small blue clicky that only had the clicky glow when you moused over it. Grrrr! Got there in the end, though.